I often see dresses and skirts I like that fit me everywhere but that I wish were just that little bit longer. The op shops are full of them. I get around this dilemma by adding a contrast strip to the bottom of the dress. It’s quite easy to do, takes less than 30 minutes and depending on what you use as your strip can cost less than $2. This dress is a Cue dress and needed to come down a fair few inches. I started by unpicking the hem which gave me 2 more inches but I still needed more so I made the contrast band in black. 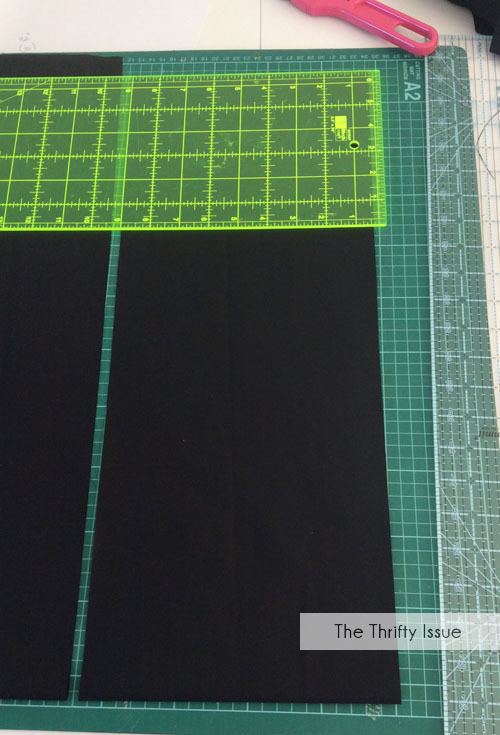 Measure the bottom of the skirt all the way around and add half an inch for seam allowance. That gives you the length you need to cut and to know the width double however long you want to add, in this case 4 inches, double it and add half an inch for seam allowance. So for this skirt I cut a band that was 8 and a half inches wide. Sew the 2 ends together to make a circle. 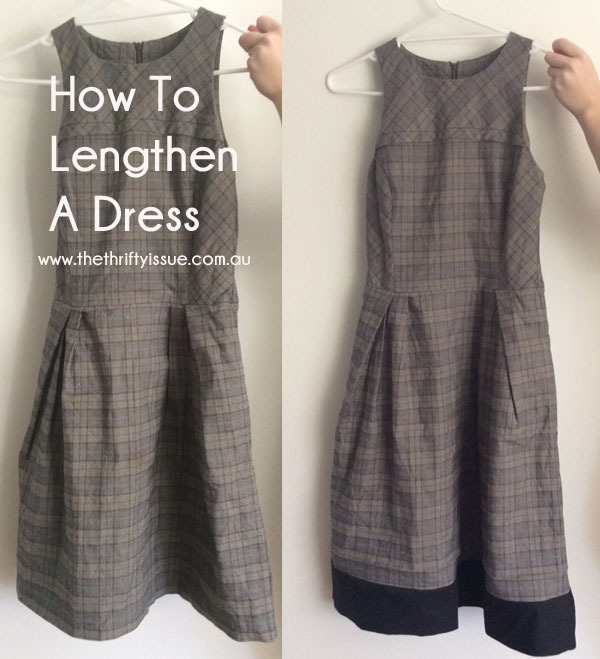 Fold it in half so that your circle should now be the same length but only half the width with the seam you just sewed all tucked neatly inside. 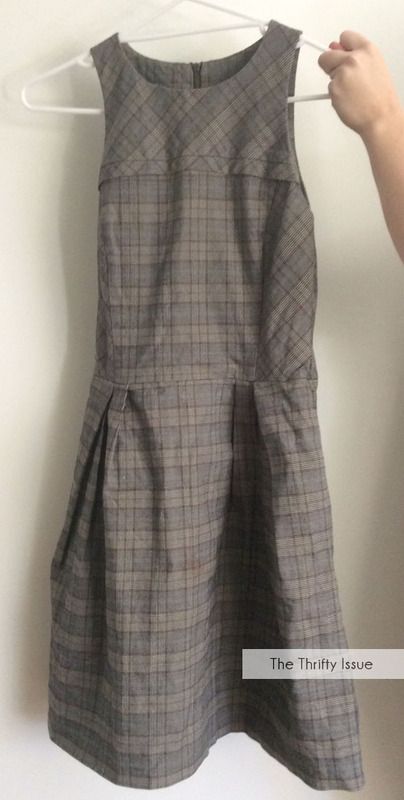 Pin the circle to the skirt with all the raw edges together. Make sure that all the raw edges face inwards so that you won’t see them when wearing the skirt. Sew all the way around either with an overlooking stitch or a straight stitch. As this seam won’t be taking a whole lot of wear it’s not vitally important to overlock it. Iron the seam you just sewed as well as the bottom on the skirt to create a new crease and you have just extended the life and look of your skirt. This can be done on pants and shorts just as easily, it’s just a matter of being precise with your measurements to get both legs the same. 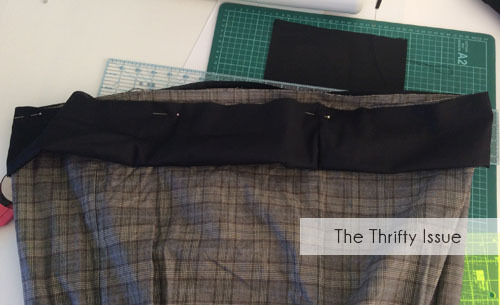 You could also use it to replace worn or frayed bottoms of skirts, just trim the work edge and add a new band. Do you alter your clothes? Good idea. I have a few nice short dresses that need to be worked on like this. Wearing them as an tunic tops is another option.